In her suit, Miyekko Durden-Bosley accused the Seattle Police Department of negligent training, violations of her civil rights for excessive force and unreasonable search and seizure. A Seattle woman who was punched by a Seattle police officer during her arrest in June 2014 has settled her civil lawsuit against the city for $195,000, the Seattle City Attorney’s Office said. The amount includes attorneys’ fees for Miyekko Durden-Bosley, according to Kimberly Mills, spokeswoman for the office. 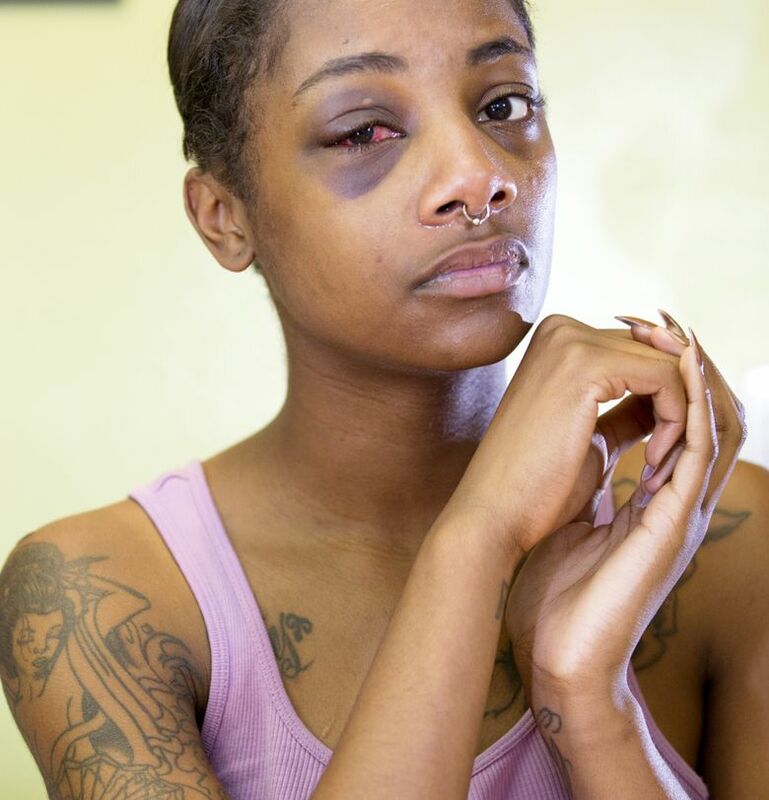 Officer Adley Shepherd punched Durden-Bosley, then 23, who was intoxicated and verbally and physically abusive during her arrest outside the home of a Seattle man whose mother had called the police on June 22, 2014. Durden-Bosley, who initially was taken into custody for investigation of domestic violence, swore at Shepherd and kicked him in the head while being shoved into the back of a police cruiser. Shepherd reacted by punching her once in the face, fracturing the orbit of her right eye. The incident was captured on patrol-car video. Shepherd and Durden-Bosley were both treated at Harborview Medical Center. Durden-Bosley was taken to jail after her injuries were treated, and spent four days there before the case was dismissed. Shepherd was found to have used excessive force in violation of department policy, according to one source familiar with the finding reached by the department’s Office of Professional Accountability (OPA). Shepherd, who has been an officer for about 11 years, has been notified he faces firing over the incident. Detective Ron Smith, president of the Seattle Police Officers’ Guild, has condemned the finding. “This is yet another overreach recommendation from OPA director Pierce Murphy,” Smith wrote in an email in January. He asserted Shepherd had lawfully arrested Durden-Bosley when she assaulted Shepherd. Durden-Bosley, now 25, filed a civil lawsuit against Shepherd and the city of Seattle. “There were two things that were disturbing about this case,” Tomás Gahan, one of Durden-Bosley’s attorneys, said Tuesday. “One is how arbitrary the arrest of Ms. Durden-Bosley was. It really was, ‘One of you are going to jail, eenie-meenie-miney-mo.’ Then there’s punching a handcuffed woman. In her suit, Durden-Bosley claimed she suffered a fractured orbital bone and a severe concussion. The suit also accused the Seattle Police Department of negligent training and supervision of Shepherd and cites three violations of Durden-Bosley’s civil rights for excessive force, unreasonable search and seizure, and failure to train the officer. The Police Department conducted an internal investigation after federal and King County prosecutors declined to bring criminal charges against Shepherd, who has been on paid leave since shortly after the incident. Seattle police initially asked for a Washington State Patrol investigation, which turned to the defensive-tactics program manager at the state police academy, Robert Bragg Jr., to review the video and its investigation. He concluded Shepherd’s actions were inappropriate, inconsistent with best practices and inflicted unnecessary injuries. However, King County prosecutors who reviewed the video and the State Patrol investigation announced in December 2014 that they could not say the force Shepherd used wasn’t necessary. The Seattle King County NAACP condemned the prosecutor’s decision to not charge Shepherd. Christine Clarridge: cclarridge @seattletimes.com Seattle Times staff reporter Mike Carter and news researcher Miyoko Wolf contributed to this story, which includes information from Times archives.